This Vascular Interpretation Preceptorship combines up to 3 days of in-person lecture, discussion and collaborative learning, with access to our library of over 500 vascular cases for interpretation and assessment. Patient had history of right carotid endarterectomy for symptomatic disease, patient no longer has symptoms. 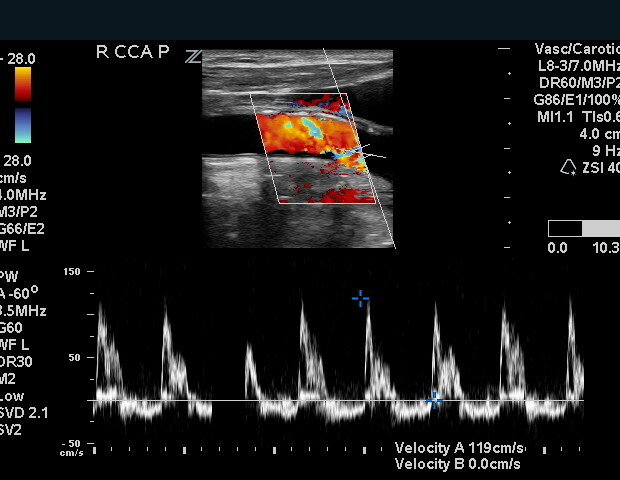 End diastolic flow was recorded as 0 cm/s, which can be an indicator of a distal occlusion or high grade stenosis. 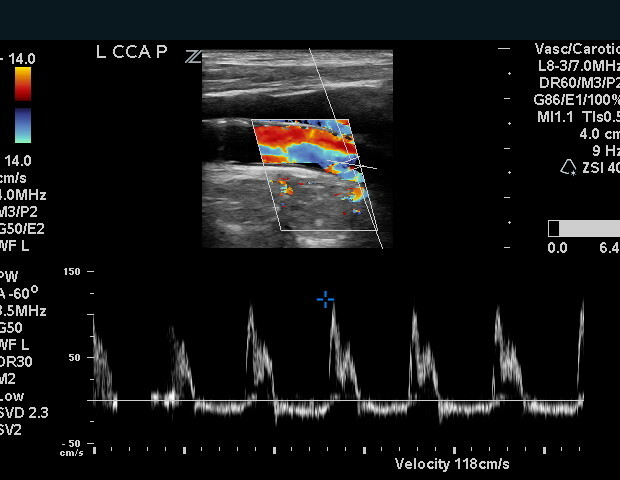 However in this patient end diastolic flow patterns were similar bilaterally in the CCA, ICA, and vertebral arteries, diastolic flow was retrograde, which would be a typical finding in someone with severe aortic regurgitation. 1. 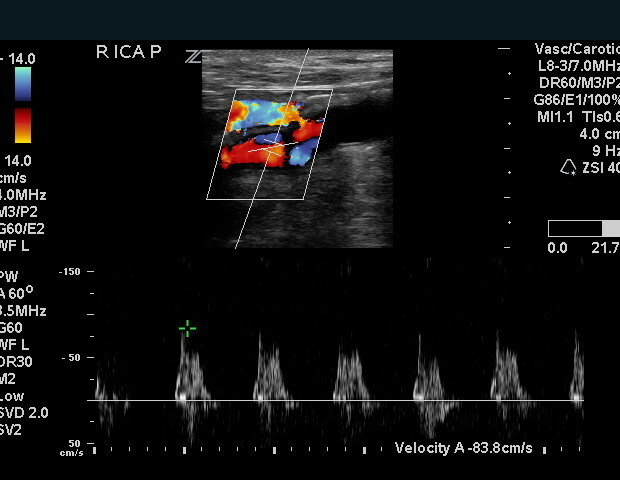 There is no significant stenosis in the right internal carotid artery. 2. There is 50-69% stenosis in the left internal carotid artery. 3. 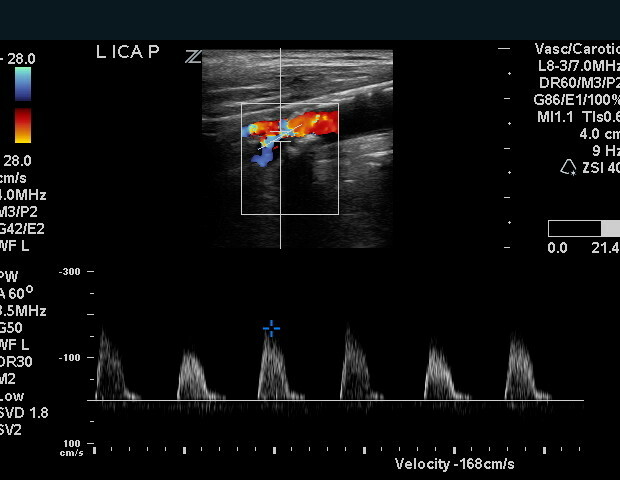 Findings on the carotid artery ultrasound with zero end diastolic flow suggests significant aortic insufficiency.